You might only need eavestrough repair if you have an older eavestrough with a few holes in it. Under those circumstances, you could buy some plastic roof cement or a metal patch to cover the damages. In cases where the damage is extensive, hiring a Calgary roofing company for eavestrough repairs may be the necessary alternative to fixing it yourself. What’s the Cost of a Contractor? A Calgary roofing company who provides eavestrough services will usually charge between $150 to $300 to do a full replacement. It depends on the company you hire to do the Calgary eavestrough repair. Some might charge less upfront, but you have to stay alert to the possibility of hidden fees. When the damage looks extensive, investing in new equipment will be better than doing a simple Calgary eavestrough repair. 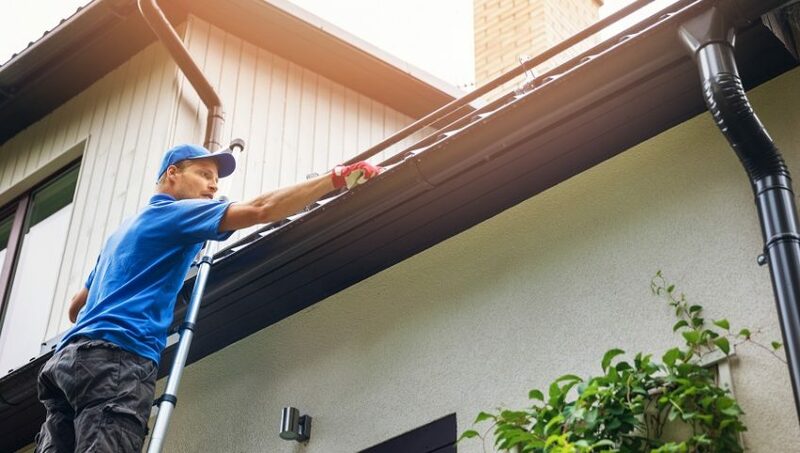 Even if you notice small cracks in the eavestroughs, you should replace the rain gutters as soon as possible as rain can cause further cracking and dysfunction. It can damage the fascia boards behind the shingles, and the water will damage the foundation, which can cost as much as $7,000 in repairs. Before considering the eavestrough services you require, it’s necessary to take a few things into account so that you can understand how to proceed and handle the issues with the eavestrough adequately.